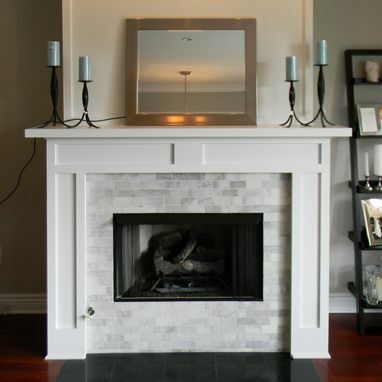 The Clybourn Mantel was created by customers who kept coming to us with inspirational photos of similar mantels. The Clybourn is contrived of an interesting arrangement of four recessed wood panels. The transition from the raised stiles and rails of each panel structure to the recessed centers are square and bold. This creates maximum shadow and higher contrast between the raised and recessed panel elements. 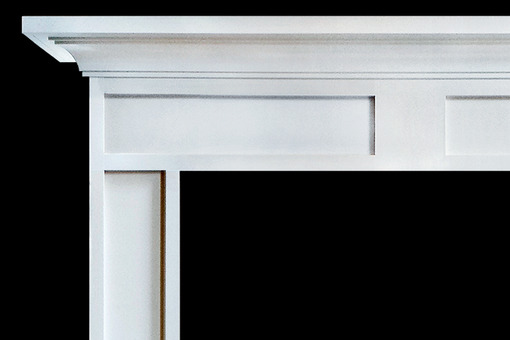 Beyond the panel detailing, the Clybourn Mantel has a multi-piece crown moulding assembly. 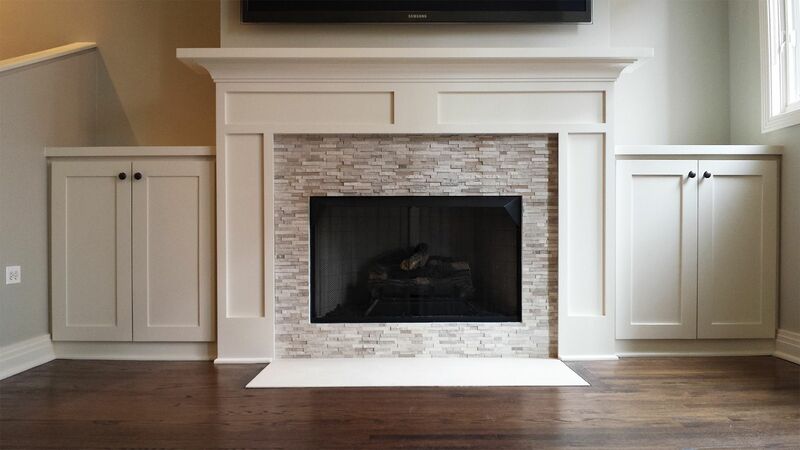 We have stacked a modern cove crown on top of two square trim parts on the top and bottom edges. This combination creates a tantalizing marriage between square and curved parts.